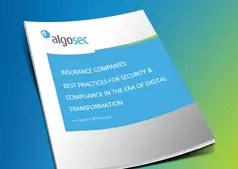 Insurance companies are constantly seeking to better serve their customers and maintain a competitive edge through new technology innovations and digital transformation initiatives. At the same time, cyber-attacks are more numerous, sophisticated and damaging than ever before – severely impacting the organization’s reputation and bottom line. As a result these organizations often fall behind on delivering new innovations into production. Additionally, the network and security operations teams are hampered by manual, slow and error-prone security change management processes, and the ever-increasing demands of industry regulations. It often takes several days, or even weeks to process a single change across a complex enterprise environment, which often needs hundreds of such changes each month, thereby directly impacting time-to-market. 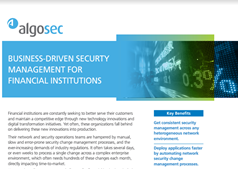 AlgoSec’s unique, business-driven approach to security management enables insurance companies to align security policy management with their business initiatives and processes, making them more agile, more secure and more compliant all the time. 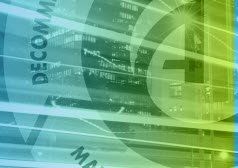 Financial institutions are constantly seeking to better serve their customers and maintain a competitive edge through new technology innovations and digital transformation initiatives. Yet often, these organizations fall behind on delivering these new innovations into production. IT security organizations today are judged on how they enable business transformation and innovation. They are tasked with delivering new applications to users and introducing new technologies that will capture new customers, improve productivity and lower costs. They are expected to be agile so they can respond faster than competitors to changing customer and market needs. 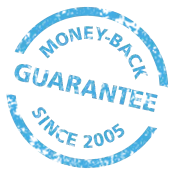 At AlgoSec we are passionate about customer satisfaction.